In the current economic climate, many businesses seek law firms offering reduced rates or alternative fee structures to lower their legal bills. But law firm lawyers are overwhelmed since their pool of associates is smaller due to layoffs and hiring freezes. Rather than hiring additional associates, firms increasingly rely on temporary “freelance” or “contract” attorneys to meet their clients’ needs. Temporary attorneys can be an attractive model, but firms must consider the ethical rules. How are conflicts of interest managed? Can a firm add a surcharge to the temporary attorney’s rate? 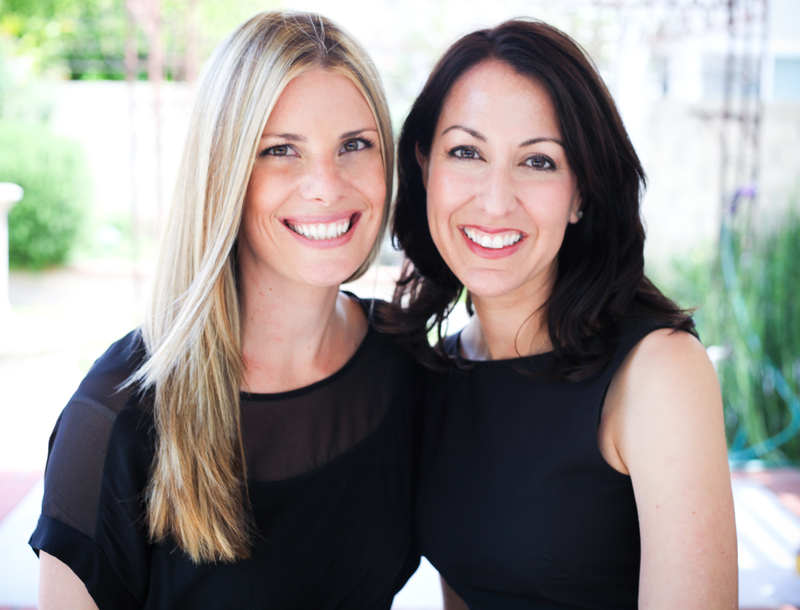 Must a firm disclose the relationship to its clients? In California, the Code of Professional Conduct does not include rules that specifically address temporary attorneys, so temporary attorneys and law firms must look to the Code, ethics opinions, and the ABA Model Rules for guidance. The Ethics of Contract Lawyering, Part 1 and Part 2, published in Law.com/The Recorder, discusses eight important considerations for law firms when contracting with temporary freelance lawyers: conflicts of interest, aiding and abetting the unauthorized practice of law, duty of competence, duty to inform the client, fees charged to the client, duty to preserve client confidences, fee splitting, and malpractice insurance. How should a law firm manage conflicts of interest when outsourcing legal work to a freelance attorney? Does the use of freelance attorneys who are not members of the State Bar of CA violate ethical rules prohibiting aiding and abetting in the unlawful practice of law? Does a law firm violate ethical rules if it uses an inexperienced contract attorney? Is a law firm required to disclose to its clients that it is using a freelance attorney for a legal project? Can a law firm add a surcharge to the freelance attorney’s hourly rate? Can a law firm disclose its client’s confidential information to a freelance attorney? Can a law firm pay a company an hourly rate for the work performed by a freelance attorney associated with the company? 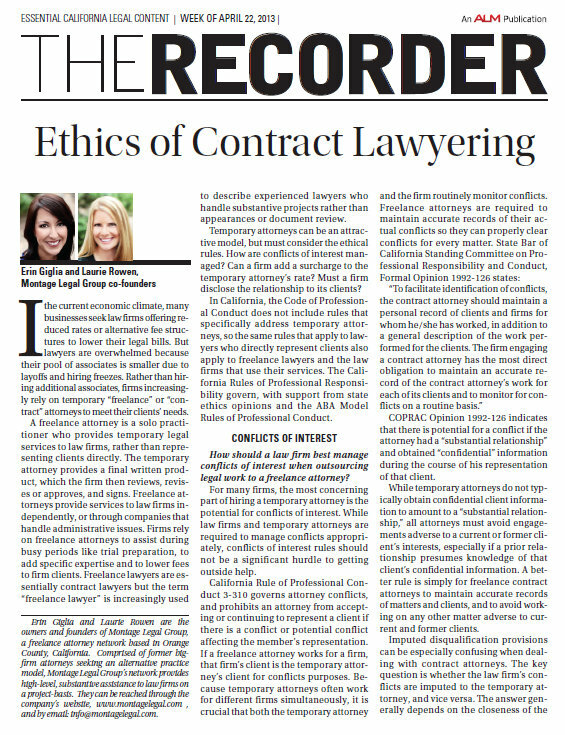 For a full copy of The Recorder’s article, The Ethics of Contract Lawyering, by Laurie Rowen and Erin Giglia, please email ethics@montagelegal.com.